At the beach with a surfboard in hand, 19-year-old CSUN sophomore Maddie Sanchez stares at the rippling ocean waves in her birth place of San Clemente, California. 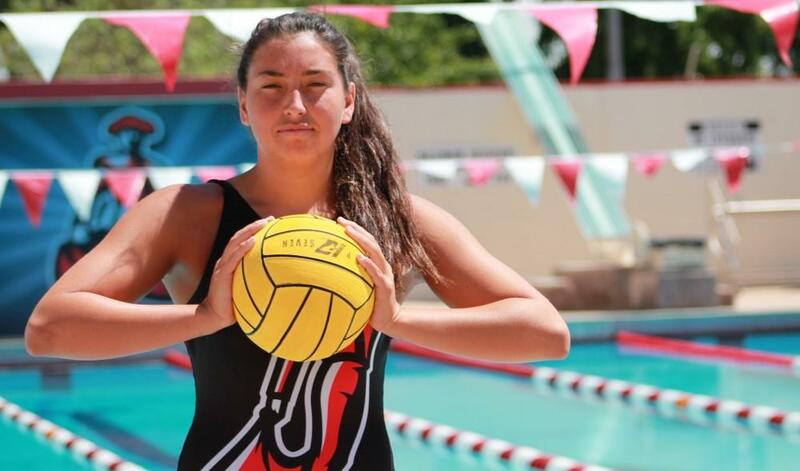 Sanchez’s self-confidence has pushed her to be successful in not just this difficult sport, but water polo as well. Playing since she was 8 years old, Sanchez is entering her 11th year of competitive play. She attended Murrieta Valley High School in Murrieta, California and played on their varsity water polo team all four years. 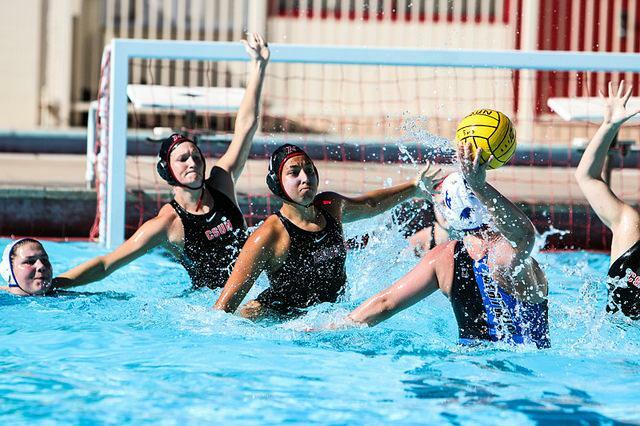 The Murrieta Valley Nighthawks have a reputation for being one of the best schools year in and year out within the water polo community. During her time at Murrieta Valley, Sanchez was a pivotal part of a team that won two Division III CIF championships. Some of the honors she received while playing in high school included all-league honors, all-CIF, and all-valley honors — essentially receiving awards from every possible region for her outstanding play. 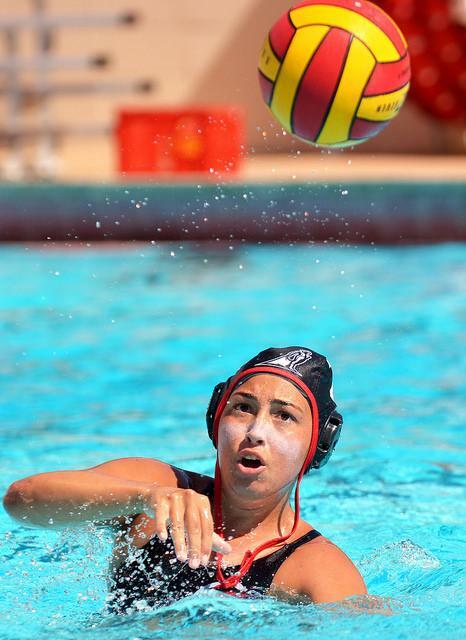 Sanchez’s talent in playing water polo even led her to being a member on the U-18 National Women’s Water Polo team. She has played against competition from all over the world, including China and Japan. Sanchez described this experience as the highest honor in her career thus far. 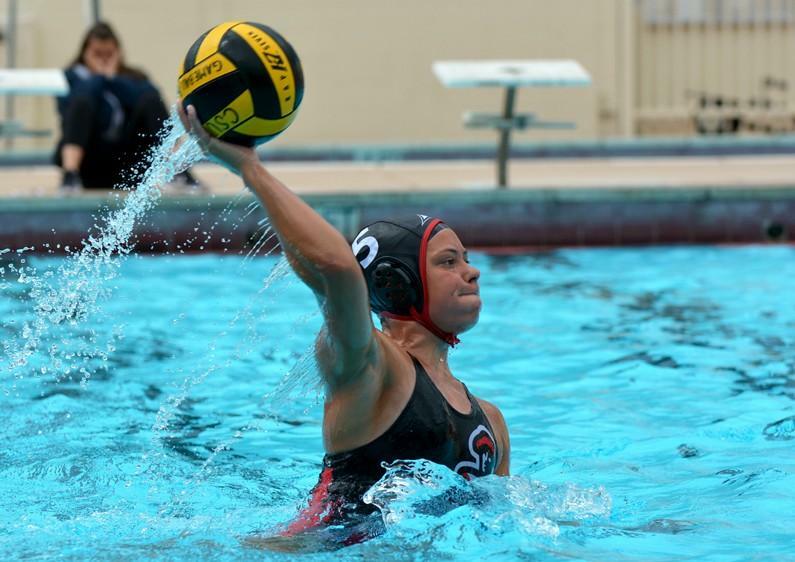 Most of Sanchez’s glory comes from scoring goals, and as good as she is at scoring them, assisting her teammates is her favorite part of playing water polo. 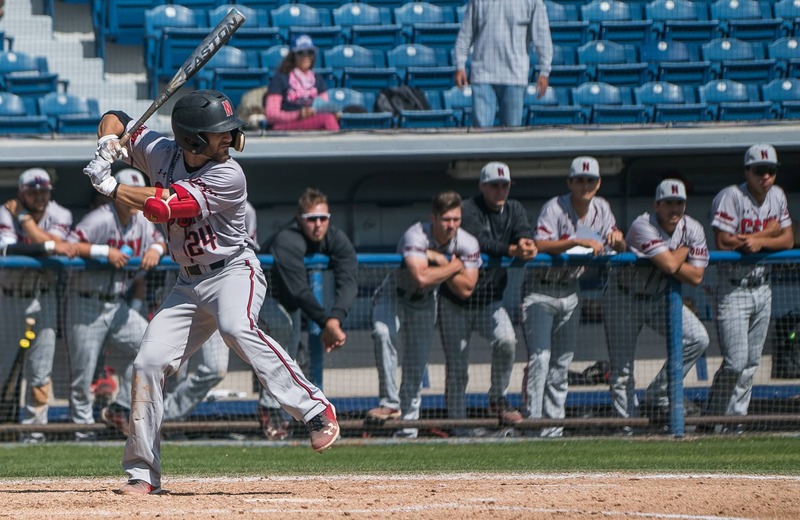 Sanchez was scouted by schools such as UCSB, UCI and Cal Baptist University. However, immediately after her recruiting trip to CSUN, she knew that was the school she wanted to attend. Coming into CSUN, Sanchez was originally interested in the great deaf studies program offered here, though she ultimately decided a different path. Already knowing sign language prior to starting college, she wanted to broaden her knowledge in another area of interest, Cinema Television Arts. 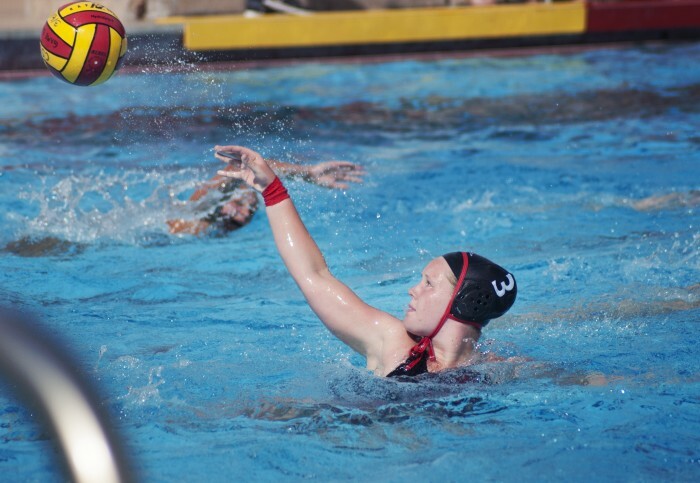 Starting her college career as a freshman in 2015, Sanchez led the Matadors’ water polo team with 29 assists. She also scored 23 goals, finishing third on the team. As of April 1, Sanchez has 58 goals in 24 matches, for an average of 2.42 goals per game this season. If she continues at that pace for the remaining six games on CSUN’s schedule, she will finish the 2016 season with approximately 73 goals. That total could potentially be the fourth highest number of goals for a player in one season in Matador women’s water polo history. “Playing with her has undoubtedly made me a better player and makes me excited to see what our team is truly capable of as we continue grow,” Fuller said. With two years of eligibility remaining, Sanchez has a chance of becoming CSUN’s all-time leader in career goals scored. Including the 28 goals in her first year, if she keeps up the pace she has in her sophomore season, reaching the record for highest number of goals scored, which is currently Allison Brookes’ 2005–2008 record of 222, is very realistic. Alongside the 29 assists from her first season, Sanchez has an average of 1.54 per game this season and is on pace for an approximate total of 46 this year. If she were to continue around that number over the next two seasons, she also could potentially finish her CSUN career in the top-five of assists all-time for a Matadors player. Just as the waves of the open ocean when surfing can swallow you whole, if you are not prepared for the sport of water polo and those who oppose you, they can do the same. Sanchez continues to believe in herself and remains confident when attacking both of these tasks, as she often does in most aspects throughout her life.